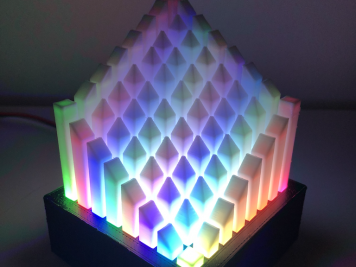 The Adafruit Blog, now syndicating with JSON Feed « Adafruit Industries – Makers, hackers, artists, designers and engineers! We … have noticed that JSON has become the developers’ choice for APIs, and that developers will often go out of their way to avoid XML. JSON is simpler to read and write, and it’s less prone to bugs. Simpler ways to syndicate content mean a more free (as in freedom) web. 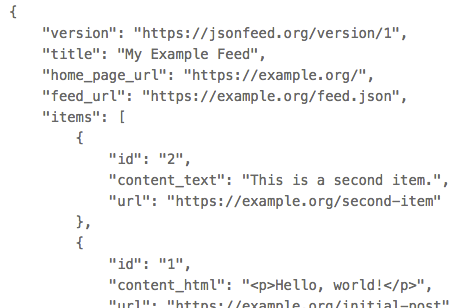 We look forward to seeing how the JSON Feed spec evolves (as long as it doesn’t lead to another feed format war)!